On your first visit to Los Angeles, LA tour operator - American Riviera Tours will help you to find best attractions to see in Los Angeles. As a sightseeing charter and tours operator, who are passionate about LA and its glorious surrounds, we are equally committed to delivering exceptional tour experience - year round. We take pride in our work and offering best tours in LA. Whether you're fortunate to be a resident of LA city and are looking for a group tour or social engagement tour - or are an out-of-town visitor looking to discover LA treasures, we're at your service. If you have any questions about Los Angeles tours and sightseeing, just drop us a quick note to info@latraveltours.com or call 1-800-761-1775. American Riviera Tours reviews. In Australia, call (03) 9005 5907. International +1-213-537-5770. 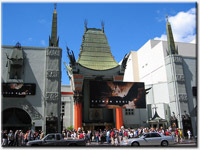 We will be glad to help you with your trip planning, when you travel to LA.